On a showery ( sharp they were described on the radio) Sunday afternoon (8th Sept) I took a visit to Dorset Wildlife Trusts Kilwood Nature Reserve near Blandford, hoping to find some remaining butterflies and maybe some darters at the reserve. 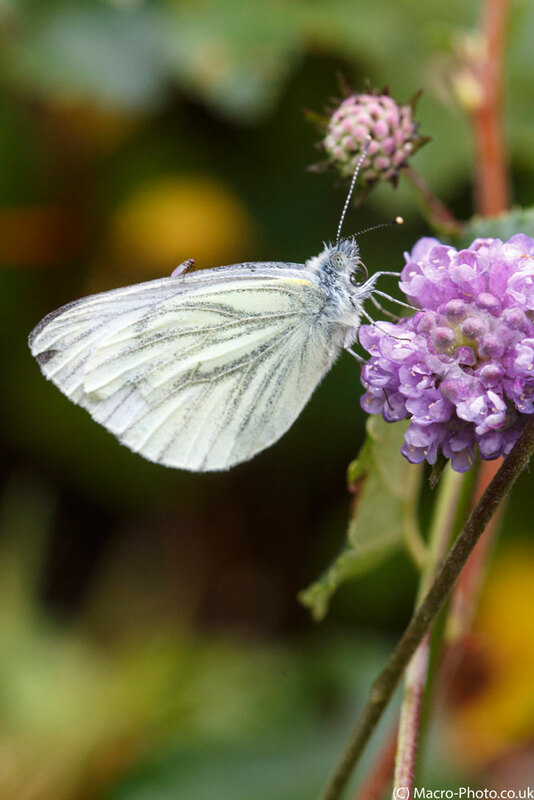 There were some obliging butterflies – quite a few whites and a few blues about. The whites seem to have had a good year this year – the reverse can be said for the blues, which seem to have really suffered due to the bad spring. After sheltering from one of the sharp showers, I managed to photograph a Common Blue Butterfly as it warmed up from the rain. 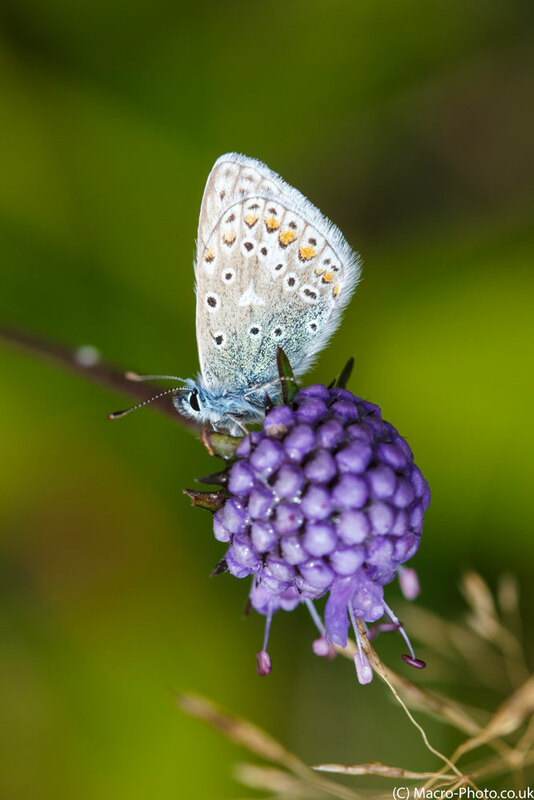 Common Blue perched on flower. Taken on Canon 650D with Canon 100mm USM Macro Lens. ISO 400 F4.5 1/400. Natural Light. 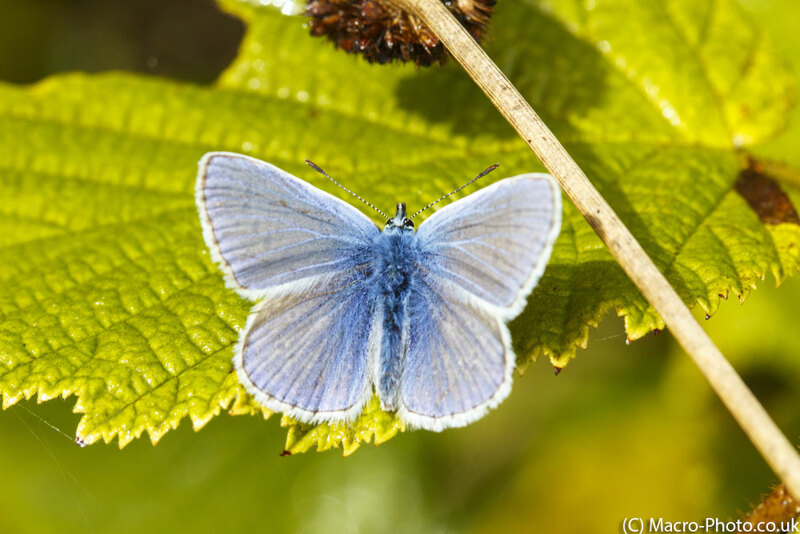 Common Blue. Taken on Canon 650D with Canon 100mm USM Macro Lens. ISO 400 F8 1/400. Natural Light. I then spotted a Green-veined White nectaring nearby – with a fly grabbing a perch on its wing. Green-viened White and Fly. Taken on Canon 650D with Canon 100mm USM Macro Lens. ISO 400 F6.3 1/200. Natural Light. Walking further on, the normally good for darter reserve Norden, was devoid of any activity. So I decided to pay a first visit to the nearby Blue Pool. The pool is very blue – so no trade descriptions there. The price for entry seemed a bit high for me (£5.50) – but I was only on the lookout for damselflies and not making any use of the other amenities. However I did get a reward for entry, as there were a lot of Emeral Damselflies about, the following three a my pic, of the macro shots I got of them, including a mating pair. 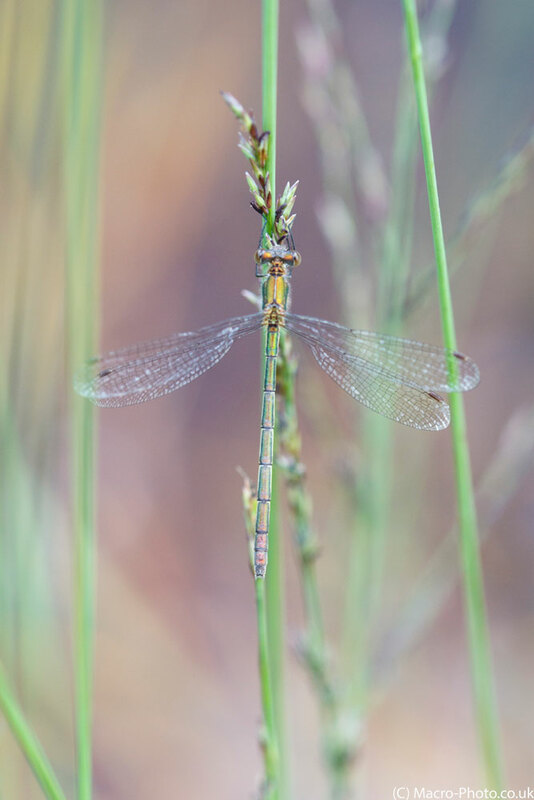 Female Emerald Damselfly. Taken on Canon 650D with Canon 100mm USM Macro Lens. ISO 400 F4 1/100. Natural Light. 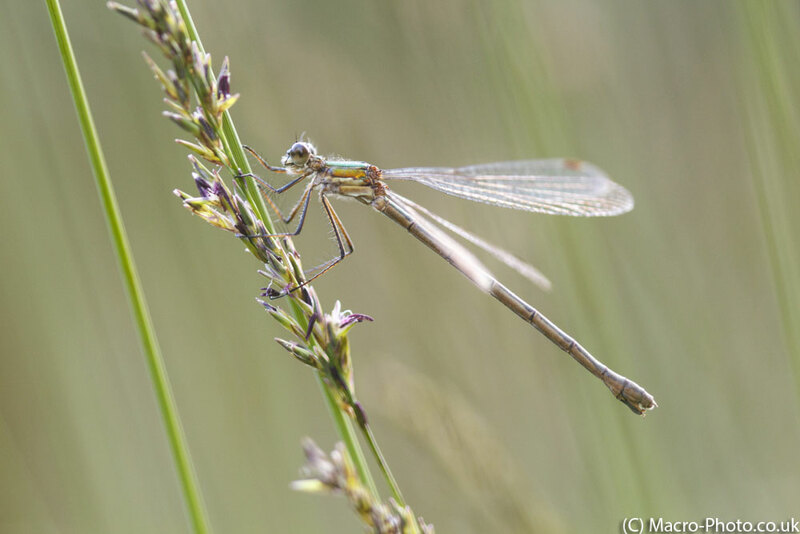 Female Emerald Damselfly on Grass Stem. Female Emerald Damselfly on Grass Stem. Taken on Canon 650D with Canon 100mm USM Macro Lens. ISO 400 F3.2 1/125. Natural Light. 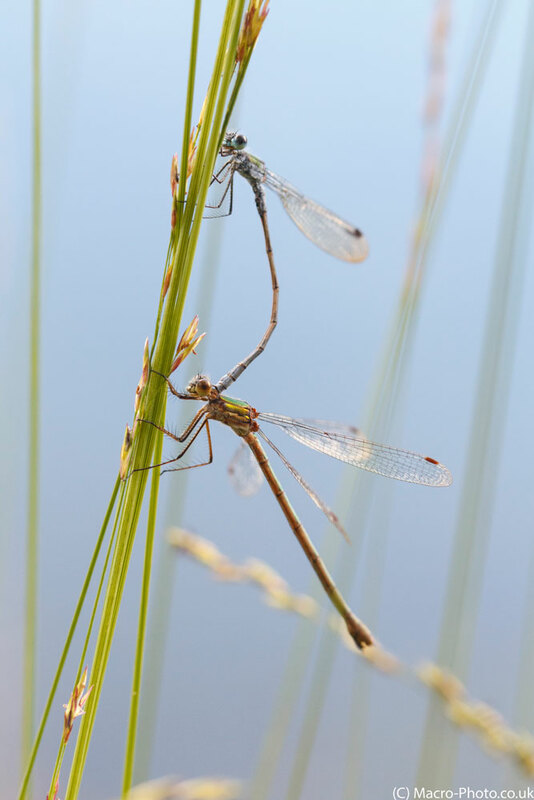 Mating Emerald Damselflies. Taken on Canon 650D with Canon 100mm USM Macro Lens. ISO 400 F4.5 1/125. Natural Light.